Canadians who are relocating to NYC have some real challenges ahead of them. While New York is exciting and vibrant, it can also be overwhelming. For this reason, expats should familiarize themselves with the newcomers guide to New York City before their move. The first step in moving to the United States is getting the right visa. 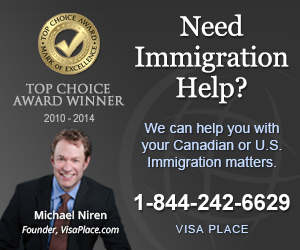 Those who have a job offer can apply for a work visa. Immigrants with family in the US may have to be sponsored for a green card. As visas sometimes take months to process, applicants should submit their application well before their intended move date. New York is a major destination for workers. The majority of the 14 million foreign workers in this city are in the service industry. Many foreigners also work for large international companies within the banking, finance and IT industries. As New York has a high cost of the living, the salaries are generally higher than other US cities. While finding a job as a waiter is easy, other work opportunities are harder to find. Expats should be prepared for a high level of competition when it comes to seeking work. Those who are bilingual and/or have a master’s degree have an advantage over other job applicants. Listed below are some useful tips for Canadians who want to move to NYC. Non-citizens can open a bank account by visiting a bank in person. Consumers will be asked to provide a valid passport for identification purposes. Finding housing in NYC will take time as the market is expensive and cut-throat. High rents sometimes come with perks like a doorman, a gym and/or laundry facilities. Migrants will have to get a health insurance policy. Although free health care is available, it is not the best quality. Most New Yorkers rely on private insurance for the medical and dental needs. Those with families can send their child to public school for free if they are legal residents of NYC. Like most things in NY, private schools are extremely competitive. Parents who want their children to have a private education should apply to several schools. Unfortunately, the ill-prepared often struggle with living in a big city like NYC. Some migrants even pack up and go home as they cannot keep up with the fast pace of the city. If Canadians do their research, they should be able to organize a smooth move. Once newcomers to New York have settled in, they will start to appreciate the benefits of living in one of the most exciting cities in the world.